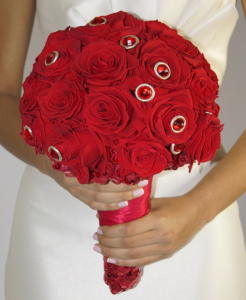 My Bridal Wedding Bouquets Collection only includes the best quality flowers and accessories. The Difference between the ordinary and the extraordinary is the attention to detail that I give each one of my Wedding Bouquets. Excellence is on the detail and I am extremely committed in giving my brides just that. My wish and desire is to create a floral fantasy for my brides so their guests will be mesmerized by the craftsmanship, art and beauty of the finished product. My collection is designed and intended for those who have the sensibility and love for the finer things in life. I invite you to view my collections of fresh flowers wedding bouquets and of course my preserved wedding bouquets and permanent wedding bouquets as well. 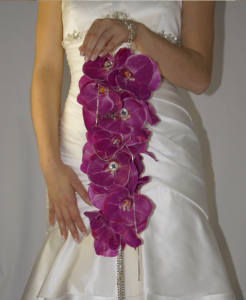 And don’t forget to view my Floral Designs for Wedding and Holidays. YOLA GUZ’ creation of her wedding flowers bouquets on line is a high quality production of floral art. Her wedding flowers bridal bouquets collection is for brides desiring beautiful and romantic flowers for their weddings. YOLA GUZ wedding flowers on line will provide today’s bride the most elegant and sophisticated bridal flower bouquets collection available at reasonable and competitive price points regardless of the bride’s social or ethnical background. Her unique attention to detail has created a wonderful and innovative wedding flowers bouquets collection on line that will make every bride’s dream become a reality. 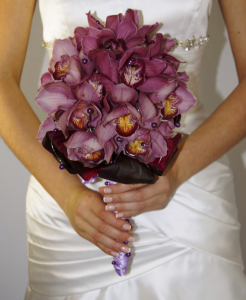 View her exquisite Calla Lily Wedding Bouquets, Orchid Wedding Bouquets, Rose Wedding Bouquets and Hydrangea Wedding Bouquets. Although Yola’s collection is marketed on line by no means her collection is a representation of Cheap Wedding Bouquets.